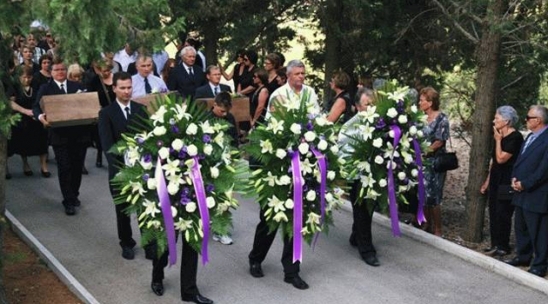 In Blato, on the Island of Korcula, in Croatia, a mournful, dignified event interred August 16 the earthly remains of three men who were thrown into the Paklenica pit (Hell pit) on the feast of St Rocco, 16 August 1943, as victims of the communist totalitarian regime. This event serves as stark, distressful reminder of horrendous crimes committed but as yet never brought to justice. The event touches deeply the survivors, the descendants of hundreds of thousands people (men women and children) whose life was brutally and murderously brought to an end during and after WWII in Croatia, by communist Partisans. On Thursday August 16 2012 Mate Uzinic, the Bishop of Dubrovnik, led the Mass and rites for the remains of Petar Sardelic Fire, Mirko Sardelic Fire and Dusan Separovic Burcina. Bishop Uzinic said that the funeral takes us 69 years back “to the feast of St Rocco, when these men, as many others after them, as part of communist purges that ensued, were murdered at the pit of Paklenica without any court proceedings”. Regarding the criminals who perpetrated those crimes Bishop Uzinic emphasized that all this is done for them too. 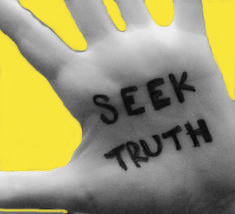 Not to judge or convict them as this is impossible today in most cases, even useless, but to encourage them to look the truth into its eyes and head onto the road of conversion for their own and for the sake of eternal salvation. But, Bishop Uzinic concluded, there’s a systematic desire to minimise, cover up, the victims and the crimes that occurred and this is best evidenced by the fact that in contemporary Croatia cases where exhumation, identification and burial of remains of victims, such as in this case in Blato, are very rare. Furthermore, when it comes to victims of the communist era, there’s a conspiracy of silence and events such as the one in Blato August 16 2012 are so very important. The earthly remains of brothers Petar and Mirko Sardelic Fire and Dusan Separovic Burcina were exhumed from the Paklenica pit in late 2011, after repeated demands from family members who wanted to give them a dignified farewell and burial. 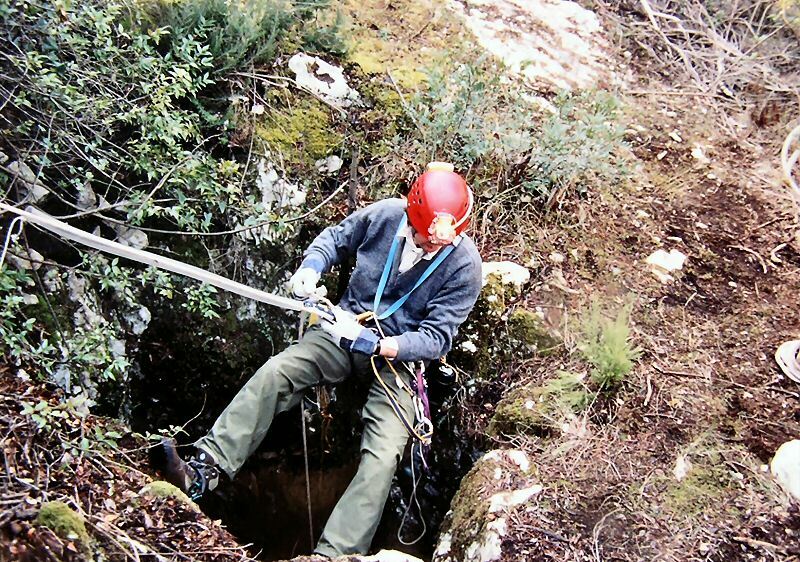 The families of the victims expressed deep gratitude to the Mountaineer-Speleological Sociaty “Spivnik” and to Vlado Separovic Markota who searched the 40 metre deep Paklenica Pit, to Fra Jozo Baresic who was the first to pray at and bless the Cross over Paklenica Pit, to Tomislav Karamarko, the former minister for internal affairs of the Republic of Croatia (currently the president of Croatian Democratic Union/HDZ and leader of the largest political party in opposition), for appointing a special police unit to exhume the remains, to court experts dr Igor Boric and prof. dr. sc. Davorka Sutlovic who identified the earthly remains. Such gratitude was expressed in the joint press release of families of Slavenka Byok, Mara Burmas, Mirko Cetinic and dr. Zvonimir Separovic (Croatia’s former foreign minister 1991/1992, Croatia’s former minister of justice 1999/2000, Croatia’s Permanent Representative to the UN 1992, the Rector of University of Zagreb 1989/1991, also known as pioneer of Victimology for many years [and current] at the helm of the Croatian Society of Victimology). 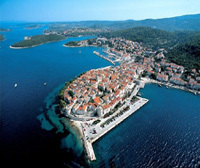 There are over 850 mass graves of victims of communist crimes discovered across Croatia and Paklenica Pit near Blato, Island of Korcula is among them. In his new book (June 2012) “Hidden scaffolds and gravesites of the Yugoslav communist crimes” (Prikrivena stratišta i grobišta jugoslavenskih komunističkih zločina) prof. Josip Jurcevic records the evidence of more than 1,700 mass graves across former Yugoslavia: Slovenia nearly 600, Croatia 850, Bosnia and Herzegovina 90 and Serbia about 190. Prof. Jurcevic emphasises that about 89% of crimes associated with these mass graves were perpetrated by communist authorities, 8% still unconfirmed, while the remaining 3-4% crimes associated with these mass graves were perpetrated by Chetniks (Serbs), the authorities of the WWII Independent State of Croatia (NDH), Germans and Italians. That which in this story terrifies is the fact that out of 850 mass graves in Croatia only 24 have been, either partially or fully, investigated and that was – prior to year 2000; prior to die-hard antifascist/communist Stjepan Mesic became Croatia’s president. Prof. Jurcevic says that after that date all work on mass graves had been terminated. Communists in Croatia and around the world are responsible for a criminal conspiracy that institututionized injustice and murder on a global scale. Why people continue to support this idelogy is beyond me. It outrages me that intellectuals continue to perpetrate an acemedic foundation for such an intellectually fraudulent system like communism…which infects generations of people. To be clear communism is not about compassion. Democratic capitalism provides more freedom and compassion than communism could ever contemplate. I don’t see communism as intellectually fraudulent, quite the opposite. However, it is fatally flawed in terms of a system of governance but people don’t kill because they are communists, they kill because they are killers, irrespective of their political persuasion. True, however totalitarian regimes including the Communist placed little value on human lives that were/are in the way of achieving their goals. History has told that fact. Indeed not all people subscribing to Fascism, Nazism or Communism were killers but many were, particularly those in high positions and those who followed them did so for personal gain or progression in power. A simple summary but nevertheless true. Communism was all about control and power and making slaves of people or killing them if they refused enslavement. Those who continue holding the candle for communism have great problems in seeing and accepting the horrible truth about the horrors and oppression of the communism they lived under and “looked up to”. My grandmother Smilka Balic told us of the husband who went missing in Blato during WW2. Her husband Nenad Balic a merchant sea captain and was shot and never seen again by his family, wife Smilka and daughters Mirjana and Tatiyana. They escaped the island of Blato in a boat ending up as refugees in Egypt for the duration of the war. They then emigrated to Australia. They have never known what happened to their loved one Nenad Balic.